Flu can be transmitted through breathing, against all notions of contamination by exposure to droplets from coughs and sneezes. Turns out, flu doesn't need coughing or sneezing for transmission. 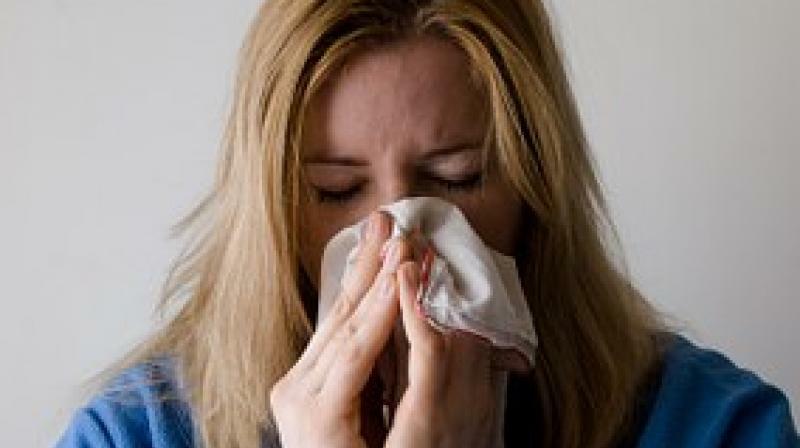 According to a new study, it was revealed influenza virus, commonly known as flu, can be transmitted through breathing, against all notions of contamination by exposure to droplets from coughs and sneezes. University of Maryland-led study published some new pieces of evidence for the about the airborne transmission. The study, "Infectious virus in the exhaled breath of symptomatic seasonal influenza cases from a college community", noted the large quantities of infectious virus researchers found in the exhaled breath from people suffering from flu. Dr. Milton, M.D., MPH, professor of environmental health in the University of Maryland School of Public Health and lead researcher of this study said, "We found that flu cases contaminated the air around them with the infectious virus just by breathing, without coughing or sneezing". He added, ""People with flu generate infectious aerosols (tiny droplets that stay suspended in the air for a long time) even when they are not coughing, and especially during the first days of illness. So when someone is coming down with influenza, they should go home and not remain in the workplace and infect others". Researchers from the San Jose State University, University of Maryland, University of California - Berkeley, and Missouri Western State University contributed to this study which was funded by the Centers for Disease Control and Prevention (CDC) and the National Institutes of Health. "The study findings suggest that keeping surfaces clean, washing our hands all the time, and avoiding people who are coughing does not provide complete protection from getting the flu," said Sheryl Ehrman, Don Beall Dean of the Charles W. Davidson College of Engineering at San Jose State University. She added, "Staying home and out of public spaces could make a difference in the spread of the influenza virus".